It’s no secret: Cats are kinda weirdos. From those random bursts of energy, to teeth chattering, to putting their butts in faces, cats are not lacking in the strange behaviors department. Out of all of their strange behaviors, however, one just might win the title of strangest—and has become an internet phenomenon, too. “If it fits, I sits” (or "If I fits, I sits") refers to the act of kitties squeezing themselves into tiny spaces, like boxes, sinks, shoes, bowls, or even flower vases. Lucky for them, their super flexible spines allow them to squeeze into some seriously small (and strange) spots. But why do cats like to chill in confined spaces? The most common theory is that it makes them feel safe, protected and comfortable—if the sides of a box, basket, or bowl are touching their body, a predator can’t get ‘em. Makes sense, right? 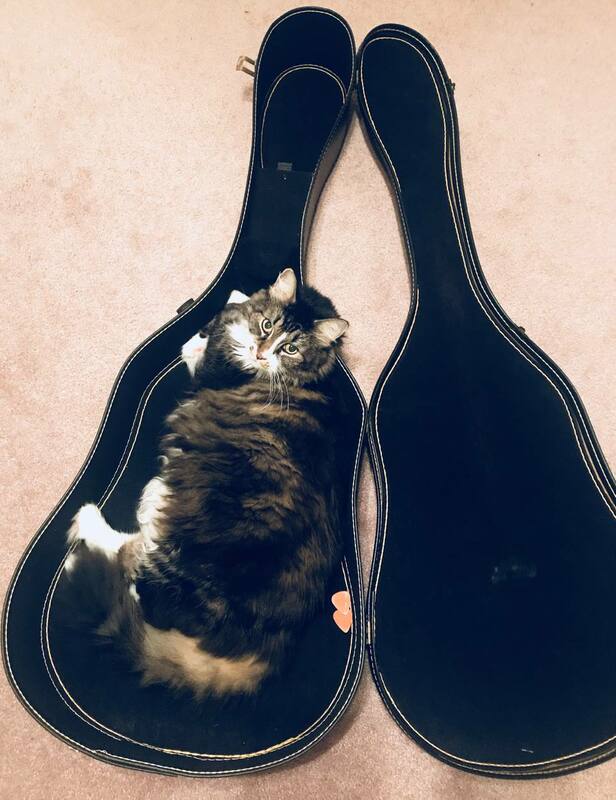 Natural instincts aside, “if it fits, I sits” has graced the internet with some pretty awesome photos. Read on to see 10 cats who answered the call of the wild by jamming their bodies into tiny spaces. From shipping boxes, to pizza boxes, to shoe boxes, there isn't a single cardboard box a kitty hasn't liked to curl up in. In fact, your cat probably loves a good ol' cardboard box way more than the 100% organic, natural latex, and memory foam cat bed that cost more than your own mattress. Sure, many cats don't like to get wet–and some absolutely loathe taking a bath–but no one ever said anything about empty bathroom or kitchen sinks. They're actually the perfect, cat-sized spot to curl up, get comfy, and totally get in the way of your morning routine. Baskets are a super common accessory in the interior decorating world. Why? They're so cheap and versatile! Not only do they add some natural texture to a space, but they can hold your favorite tchotchkes, extra pillows or blankets, certain kinds of houseplants, and... cats. 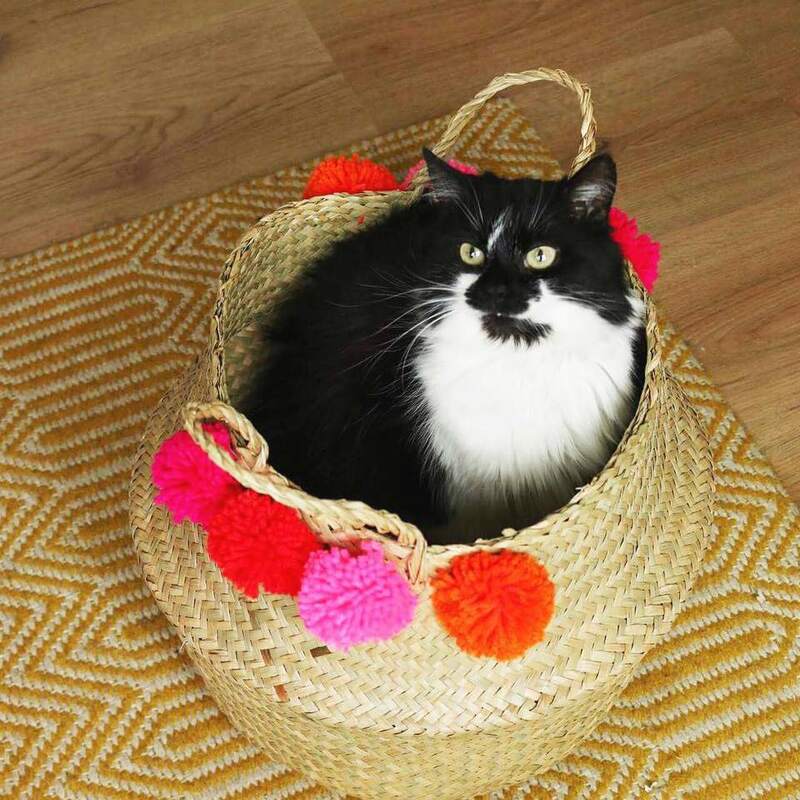 You heard it here first: A kitty cuddled up in a handwoven basket is going to be this year's biggest (and cutest) decorating trend. Doing yard work in the hot summer sun can be seriously hard work, but having a helper can save some sweat–and back pain. Unless, of course, that helper decides to take a nice snooze on top of your garden hose. What's better than celebrating your birthday and being showered with love, happiness, and thoughtful gifts? If one of those gifts happens to be an adorable cat! When you're a punk rock kitty, you have to be choosy with your sits locations. A Backstreet Boys DVD box set case? No way. A Nike shoe box? Never. Really, besides a Vans box, there's only one other type of shoe box this punk cat would be seen squeezing himself into: Doc Martens. Whether they just want to be closer to baby or are jealous of all the attention the tiny humans get, it's common for cats to curl up in a crib, car seat, or stroller. But if taken out on the street, this kitty could bring a whole new meaning to the term "Crazy Cat Lady." All she needs is a bonnet and pacifier to really take it to the next level. Doesn't it seem like your pets just know when you're going on vacation? Curling up in your purse or luggage, like this cat, is one way to ensure you won't go galavanting around the globe without him. If you've ever worked in a restaurant kitchen–or helped your mom in the kitchen–you know any good chef has a permanent frown. The same rings true for this culinary cat, who prefers to relax in a salad bowl. Take a moment to reflect on how difficult it was to get your chores done when you were a kid. Alternately, if you have kids, how difficult is it to get them to do their chores? This cabinet-lounging cat actually loves putting the dishes away–and then getting them dirty (and covered in hair) by taking a snooze in the cabinets.